Leading companies are finding new ways to accelerate growth and increase competitive advantage through innovative business models that meet societal needs at scale. These companies are "creating shared value" by using their core business processes and practices to enhance the competitiveness of companies while improving social and environmental conditions. The concept of Creating Shared Value (CSV) was introduced by the co-founders of FSG, Harvard Business School professor Michael Porter and senior fellow at the Harvard Kennedy School Mark Kramer, in several Harvard Business Review articles (most recently in January/February 2011). 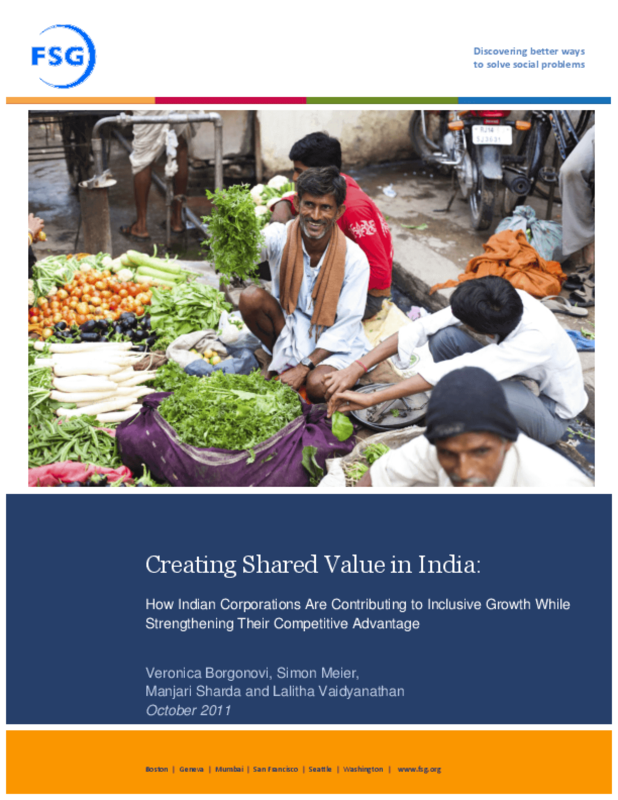 FSG's research in India has identified a number of highly innovative examples of shared value. In this paper, we highlight these examples and call on corporations, especially our largest ones, to lead the charge toward a strategy for growth that benefits all our citizens.